I have long searched for Harpa gracilis Broderip & Sowerby, 1829, an endemic species of the central Pacific, found especially in Clipperton or French Polynesia. 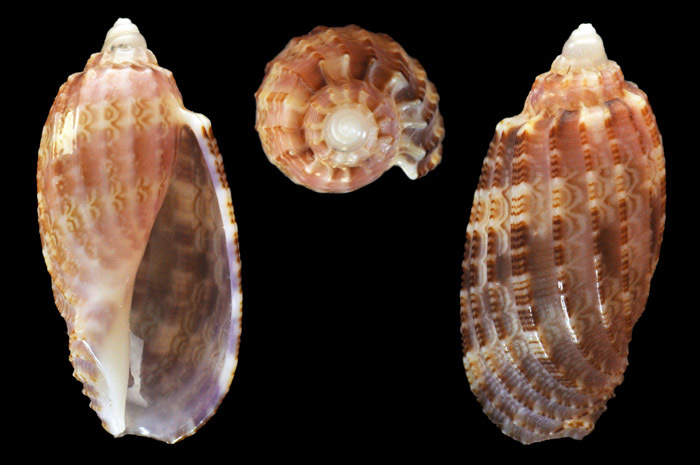 The shell is rare in collections, small (average 20 to 40mm) and superb. The mollusk habitat and way of life are still little known, but I have found many testimonies of harvests in the Tuamotu archipelago, either by shallow dive on the outer reef atolls for living specimens or in the leashes of the motus (islets) for the dead shells. I was 9 years old during my first stay in Polynesia. At that time I was just beginning to collect the common seashells from the lagoon but a friend of my parents, a great cowrie collector, was talking to me about rare and precious shells. One day, in Papeete market, he showed me a Gracile Harp, or Polynesian Harp, specifying its immense value. The specimen in very bad condition from Hao entered its collection for the sum, exorbitant to my eyes, of 5000 cfp (about 40 €). Since then, the acquisition of this species has become for me a quest. It's out of consideration to buy this mythical shell, I wish to find it myself, especially since the prices of quality specimens make it inaccessible to young conchyliophiles. In 2003 I returned to Polynesia on my own for a stay of 7 months. I intended to find Harpa gracilis in the Tuamotus and go to the atolls of Mataiva, then to Tikehau for an intensive search of the species. My efforts were little rewarded, as each of these islands bring me a remnant of shell, which only proves that the species was present in this zones. I returned to France somewhat dissatisfied with these research. Third stay in 2009, accompanied by my wife who helps me in my research. We are in Polynesia for 2 months and have planned to spend only 15 days in the Tuamotu: time is counted. Our holidays are wonderful and my collects miraculous, but still no trace of harp, even in a pitiful state. We leave Manihi with regret and land in Fakarava, where I planned to devote a little less to the collection of molluscs, the return to France being near. I am giving up all hope to find my famous shell. This is our last day in Fakarava, on an idyllic and very remote motu. We enjoy our last walk on the coral island despite the bad weather. Our ballad is suddenly interrupted by a heavy rain and we run facing the wind to reach a shelter as quickly as possible. During the race, my eyes stops furtively on a small elongated form among the debris of dead corals. I make a few more steps before the collector's instinct catches up. I turn around for verification, the doubt deserves that I get a little more wet. I then find it hard to believe the information my streaming eyes send to my brain: here lies the marvelous shell of Harpa gracilis. The object of my desires, so fragile and light, contrasts with the gray roughness of the coral soil. I grab it, pull out gently the hermit crab inside and roll it in a napkin while trying to stifle screams of joy. My wife also shares my happiness, she who has heard so much about this mythical harp during our stay. Once sheltered, we admire the small treasure with care: the shell is perfect, fresh, without apparent brightness, hardly tarnished by two small calcareous attachments that will disappear with the cleaning. The boat would bring us back to civilization a few hours later. All the elements have been combined to make this discovery an exceptional moment: the shell is superb, intact, rare and desirable; the species is the smallest and most graceful of a family with prestigious and magnificent members; the specimen was harvested once the animal died, thus without any impact on the environment or the population; the find was realized in the last hours of a long stay, under improbable conditions; the collector was waiting for this moment for a very long time without believing any more. Chance or fate. This fetish shell now stands in my collection as the expression of one of my most beautiful conchological memories.